Everything in the natural world has structure – from the very small, like the carbon 60 molecule, to the very large such as mountains and indeed the whole Universe. Structure is the connecting of parts to make a whole – and it occurs at many different levels. Atoms have structure. 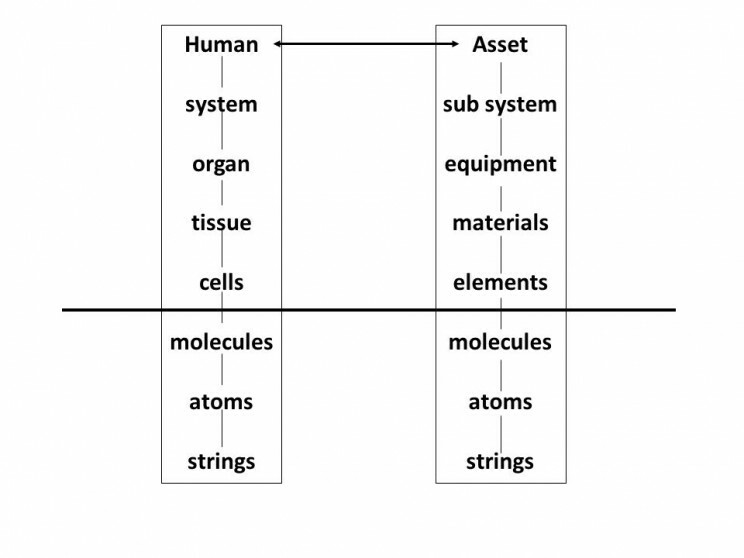 Structures of atoms make molecules, structures of molecules make tissue and materials, structures of materials make organs and equipment and so on up a hierarchy of different levels as shown in the figure. Within this hierarchy of structure, man-made objects vary from the very small, like a silicon chip to the very large like a jumbo jet. Whereas natural structures have evolved over aeons, man-made structures have to be imagined, designed and built though our own efforts. Many people, including much of the media, attribute this activity solely to architects. This is unfortunate because architects rely on engineers. Of course the responsibilities are close – it is a team effort. Architecture is the devising, designing, planning and supervising the making of something. Engineering is the turning of an idea into a reality – it is about conceiving, designing, constructing operating and eventually decommissioning something to fulfil a human need. The fact is that engineers play a critical creative role in making structural forms that function as required. They should be given at least equal credit. Your personal structure is your bones and muscles – they give you form and shape and they function for you as well – for example bone marrow produces blood cells as well as lymphocytes to support your immune system. Your musculoskeletal system also includes all of your connecting tissue such as joints, ligaments and tendons which help you move around. On it are hung all of your other bits and pieces, such as your heart, brain, liver etc. Without structure you would just be a blob of jelly – structure supports who you are and how you function. In a similar way the structure of a typical man-made structure, like a building, will have beams and columns together with all of the connecting material such as joints, slabs, welds and bolts which keep it together. On it are hung all of the other parts of the building such as the equipment for heating, lighting, communication and all of the furniture, fixtures and fittings. Without structure a building would just be a random pile of components – the function of structure is to support all the other functions of the building. 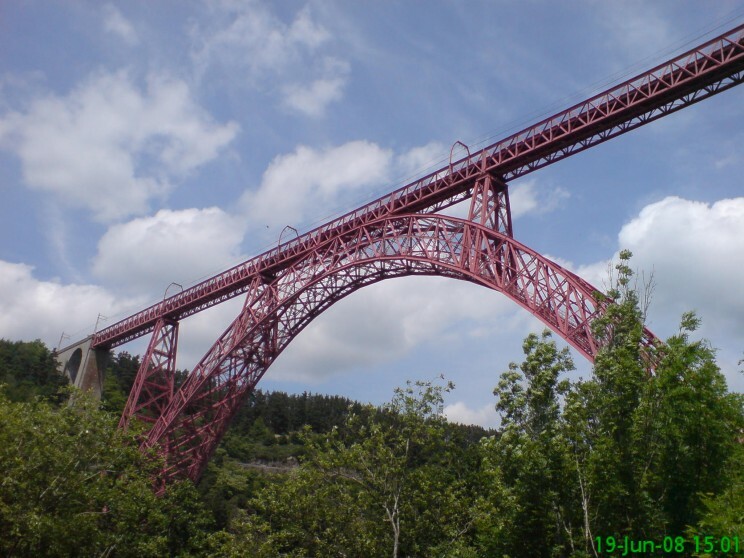 Garabit Bridge built by Eiffel in France. Photograph by David Blockley. We can think of the form of a structure from two different points of view – I’ll call them architectural and functional. If you were a building, then the architect would decide your gender, what you look like, your body shape and appearance. However the architect would not decide what is necessary to make the various parts of your body function as they should – that is the job of various kinds of engineer. In other words the architectural form concerns the sense and use of space, functional occupancy by people, symbolism and relationship to setting. It can be decorative and sculptural. The role of an architect is to understand and fulfil the needs of a client for the ways in which a building is to be used and how it will look – its overall form, appearance and aesthetic effect. But the architects who design buildings are not engineers and rarely have the level of scientific knowledge required of professionally qualified engineers. So for example structural engineers must design a structural form that has the function of making a building stand up safely. Indeed engineering safety dominates the design of large structures such as sky-scrapers, bridges, sports stadia, dams, off-shore platforms, fairground rides, ships and aeroplanes. So what happens when the best architectural form and the best structural form are different – which takes precedence? Safety and functionality are important necessary requirements – but of course they aren’t sufficient. We need more than that and herein lies the issue. Functionality is often taken for granted, assumed and dismissed as not needing an artistic, creative input – requiring ‘mere’ technique and ‘known’ science. But that is a misreading of being innovative and creative – engineers often do breathtaking complex things that have never been done before. Scientific knowledge is necessary but not sufficient for inspirational engineering – many assumptions and assessments have to be made and there is no such thing as zero risk. Engineering requires practical wisdom. The philosopher Ervin Laszlo pointed out the difference between form and function does not exist in natural structures. So nature shows us the way. Form and function should be in harmony. We should recognize that good architecture and good engineering are both an art requiring science – but aimed at different purposes. Their historical separation is unfortunate. If an architect specifies a structural form which (whether for artistic/aesthetic reasons or through incompetence) is unbuildable or unnecessarily expensive to build then the final outcome will be poor. The best and most successful projects are where the architects and engineers work together right from the start and given equal credit. At the most mundane level good structural design can leverage orders of magnitudes of savings in costs of construction. Michel Virlogeux, the French structural engineer responsible for a number of big bridges including the Millau Viaduct in France, says that we design beautiful bridges when the flow of forces is logical. A good architect welcomes the engineering technical discipline to create form through structural art and intelligence and a good engineer welcomes architectural conceptual discipline to create form through aesthetic art and intelligence. Image credit: Diagram provided by David Blockley. David Blockley is an engineer and an academic scientist. He has been Head of the Department of Civil Engineering and Dean of the Faculty of Engineering at the University of Bristol. He is a Fellow of the Royal Academy of Engineering, the Institution of Civil Engineers, the Institution of Structural Engineers, and the Royal Society of Arts. He has written four other books including The Penguin Dictionary of Civil Engineering (2005) and Bridges:The science and art of the world's most inspiring structures (2011). I agree that form and function do not exist in natural structures. However, they do need to exist in today’s buildings. In order to make sure buildings are safe and secure, they need to be functional. Hopefully, buildings can continue to be safe and beautiful.